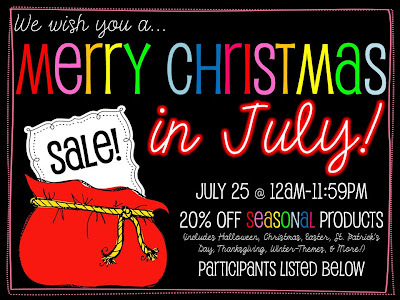 On July 25, join me in celebrating "Christmas in July"! Visit my TpT store to get 20% off all items in my store! Merry Christmas in July!